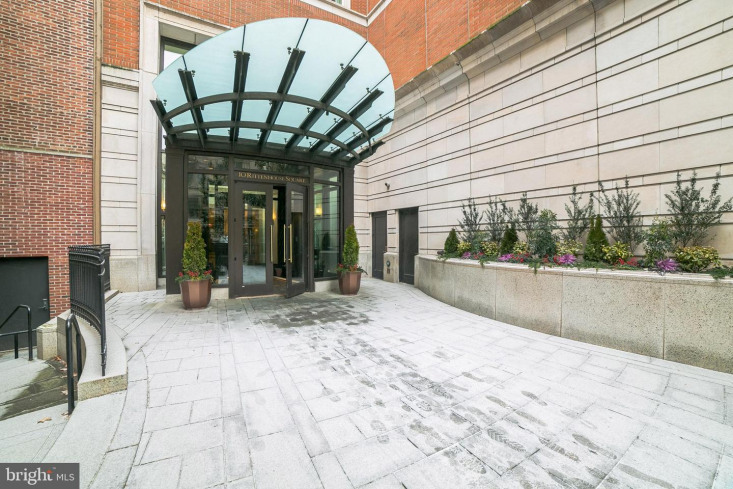 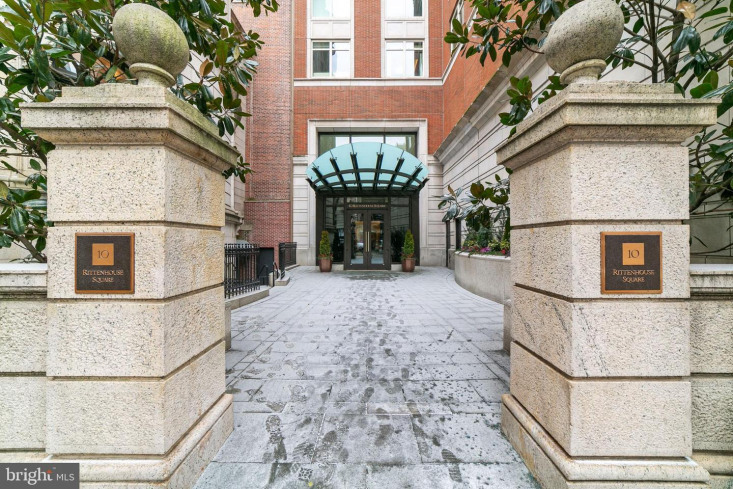 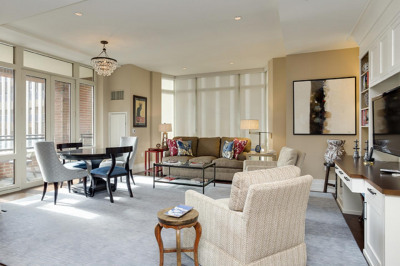 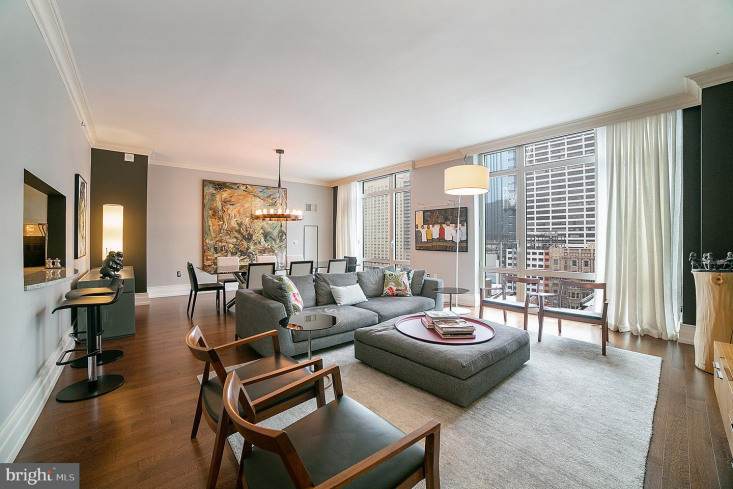 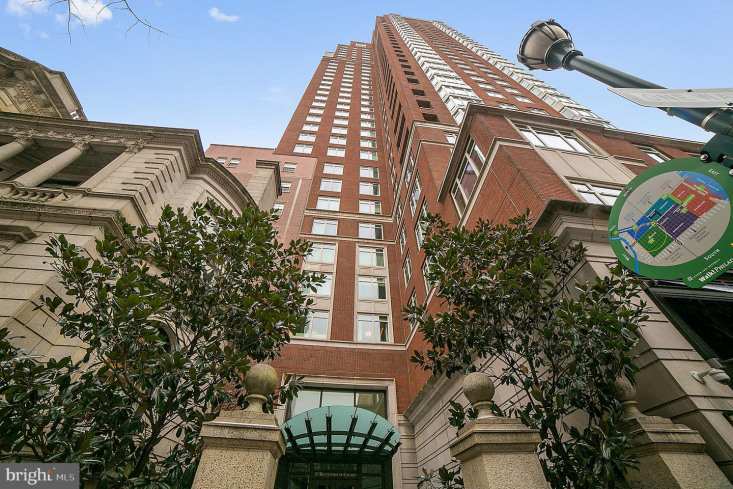 Welcome home to the ultimate Rittenhouse Square address: 10 Rittenhouse Square. 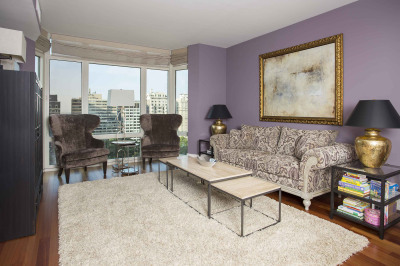 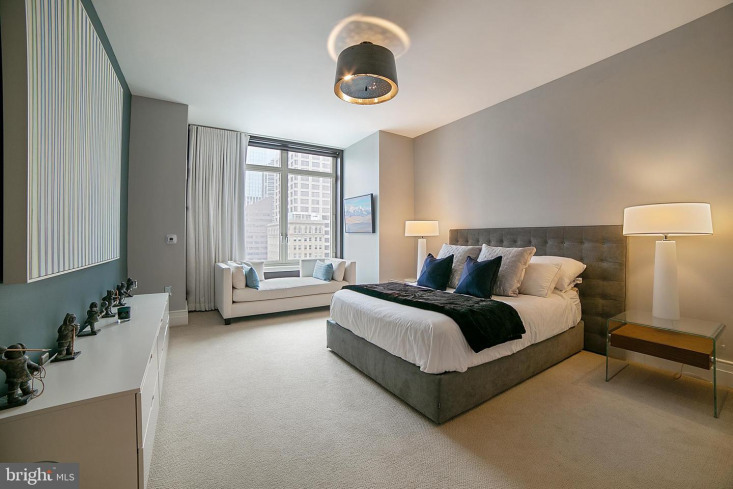 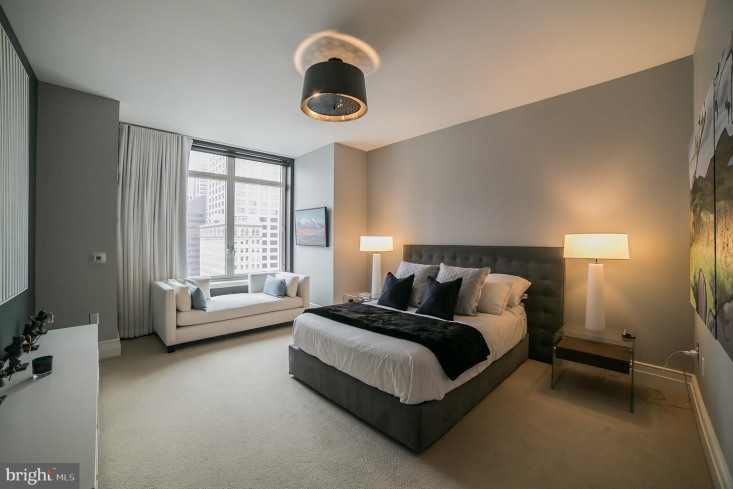 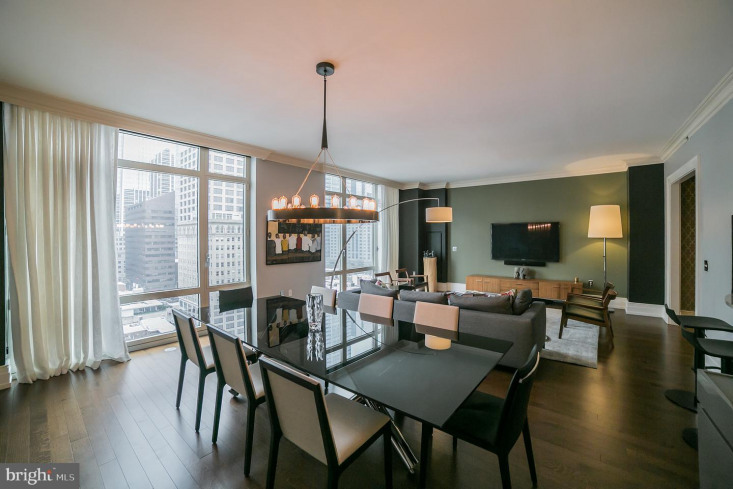 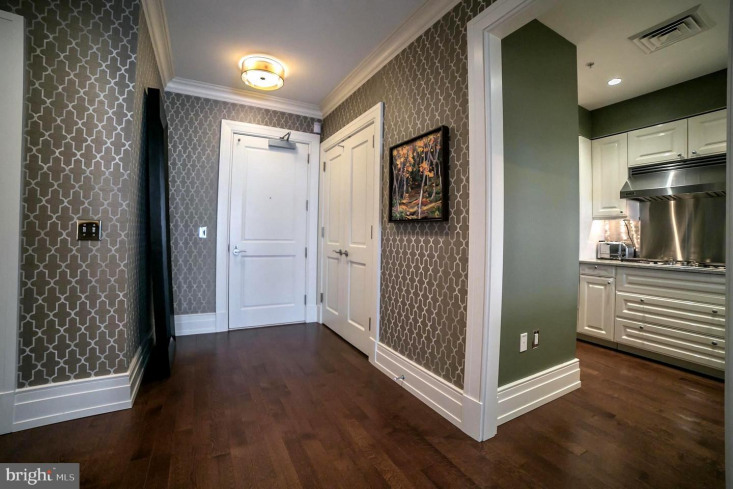 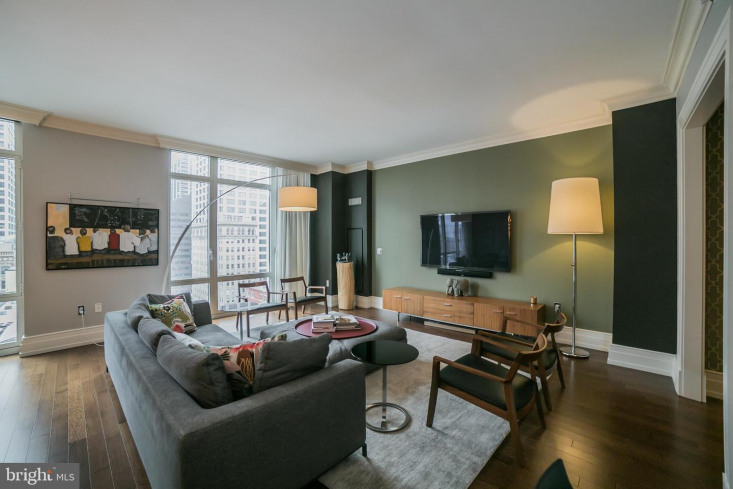 This stunning 10th floor two-bedroom residence includes 1 car valet parking. 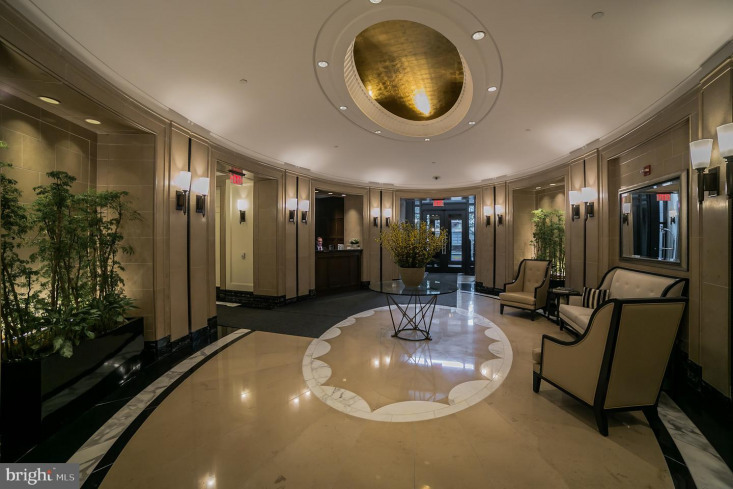 Enter the building's fabulous marble lobby with 24-hour door attendants and white-glove concierge service. 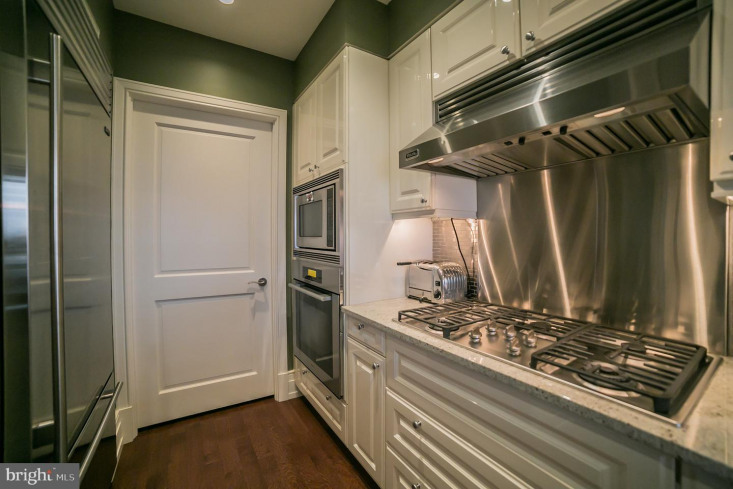 Upon entering the unit, you are instantly greeted with the finest of finishes. 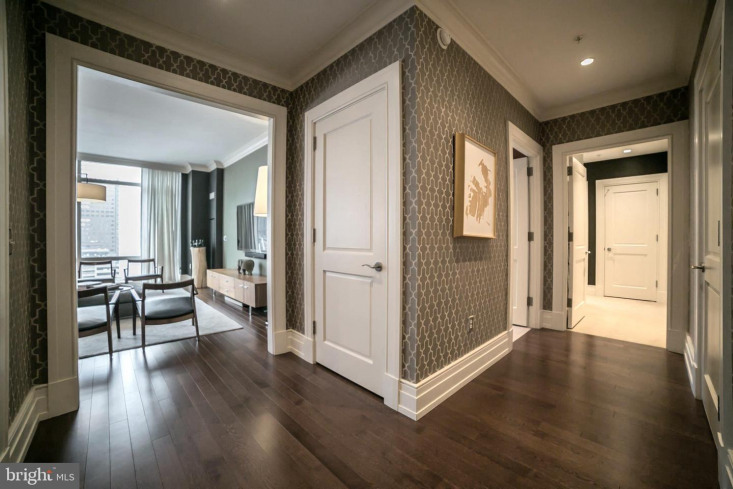 A gracious foyer welcomes you into the unit which features solid hardwood flooring, nine foot+ ceilings, tasteful grass-cloth wallpaper in the foyer, recessed lighting and floor to ceiling windows in the living/dining room area. 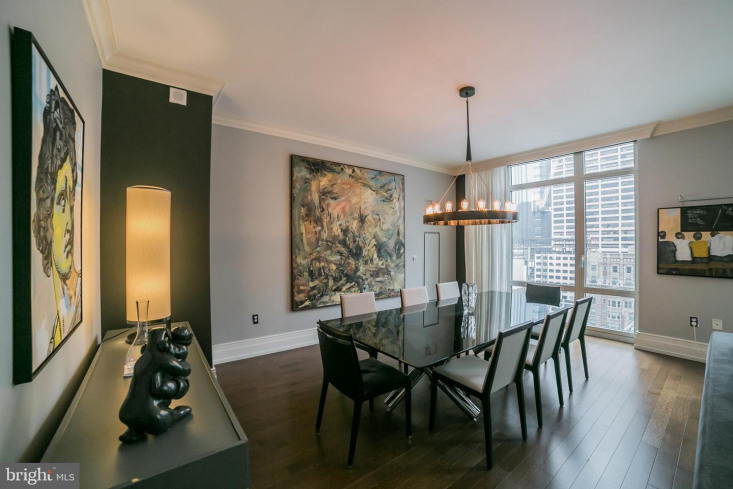 Incredible Northern skyline views are the perfect backdrop to the large living/dining area. 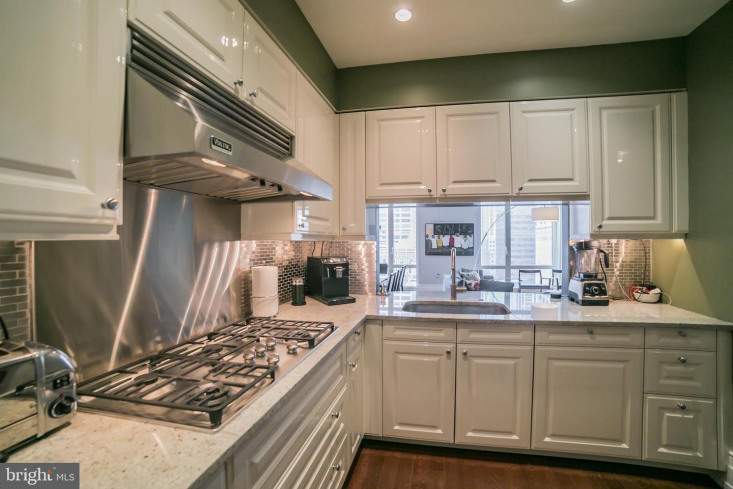 A convenient breakfast bar divides the living area from the chef's kitchen which features Viking, Sub-Zero and Miele appliances, gorgeous cabinetry, granite countertops and an oversized pantry. 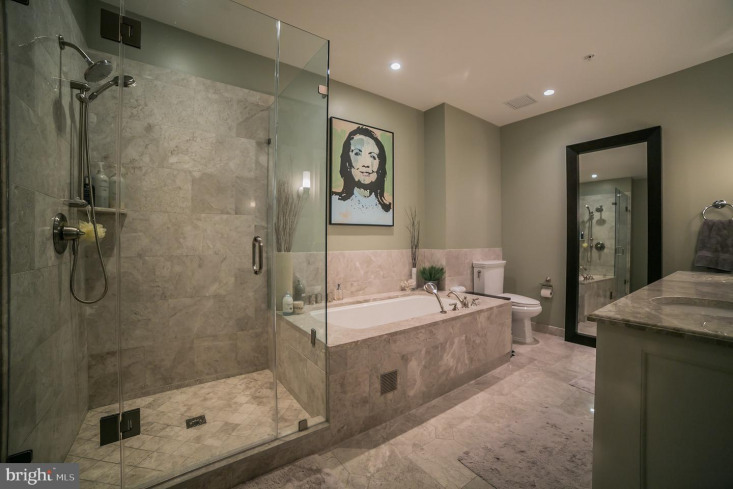 The spacious master suite includes two walk-in closets, a linen closet and a spa-like bathroom with marble flooring and double vanity, a seamless glass shower, and a soaking tub. 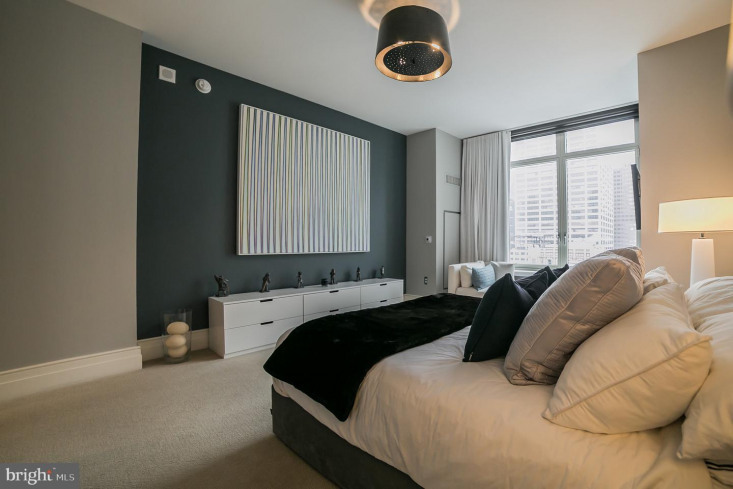 A generous en-suite guest bedroom features floor-to-ceiling windows and a full bathroom with glass shower enclosure as well as a closet. 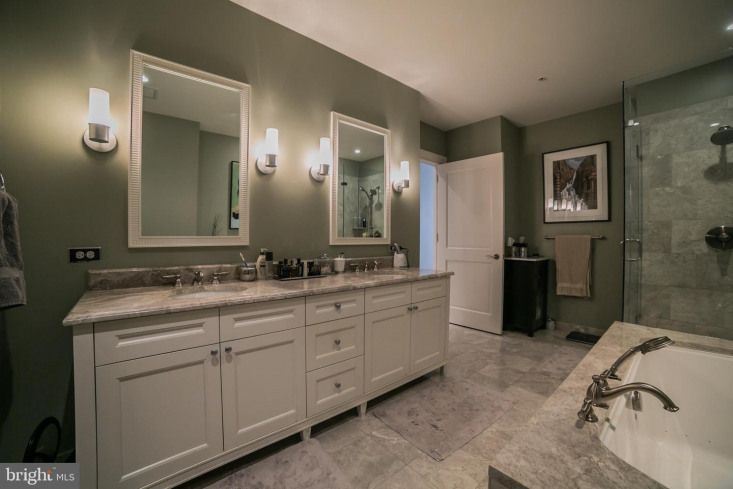 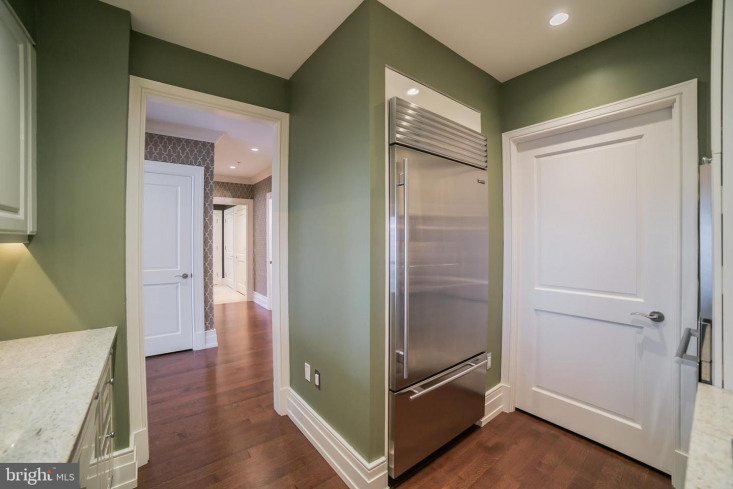 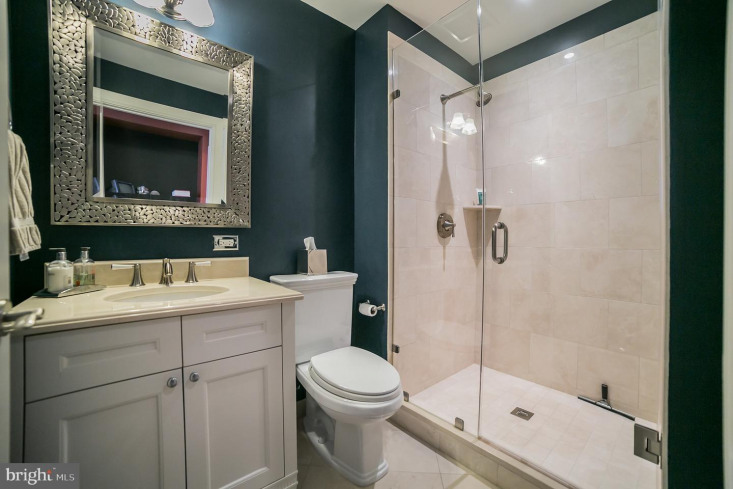 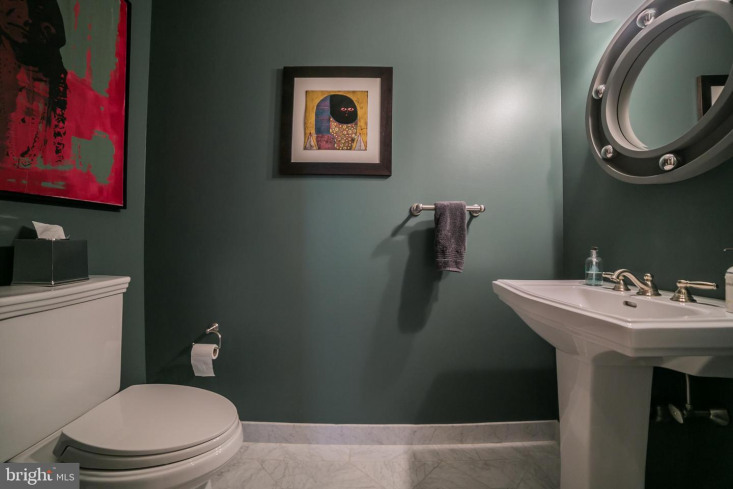 This residence also includes a convenient powder room, coat closet in the entrance hall and a laundry closet with Miele front loading washer and dryer. 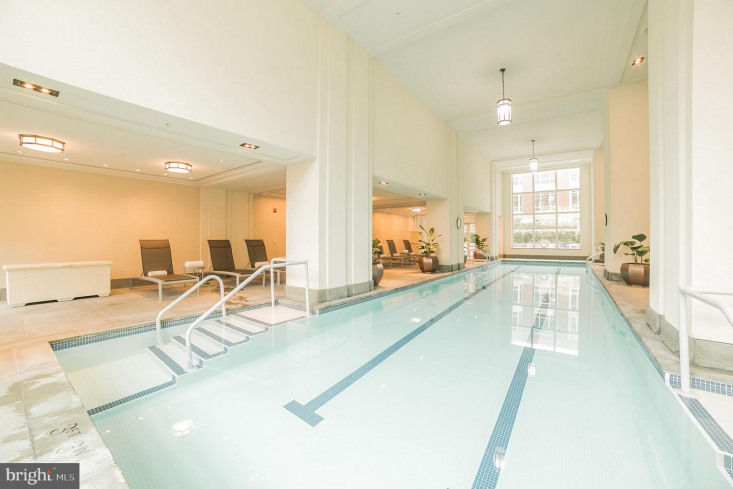 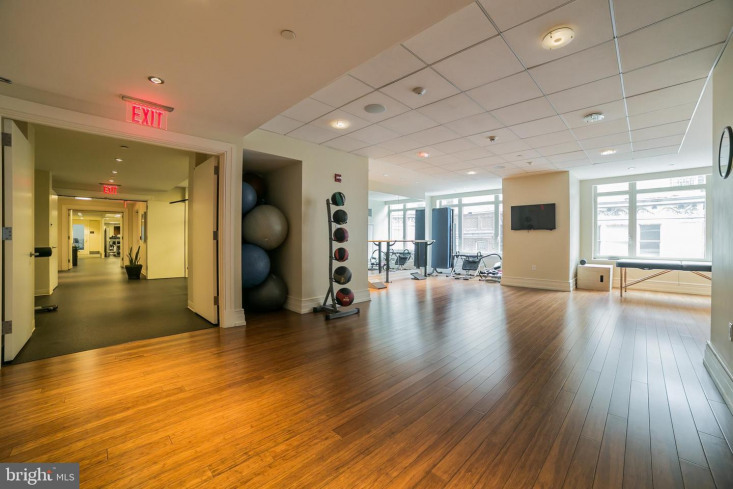 The endless list of amenities at this luxurious high-rise includes a 57' indoor lap pool, a state of the art fitness center with yoga room, a relaxing sauna and steam shower, plus a furnished and landscaped garden/courtyard. 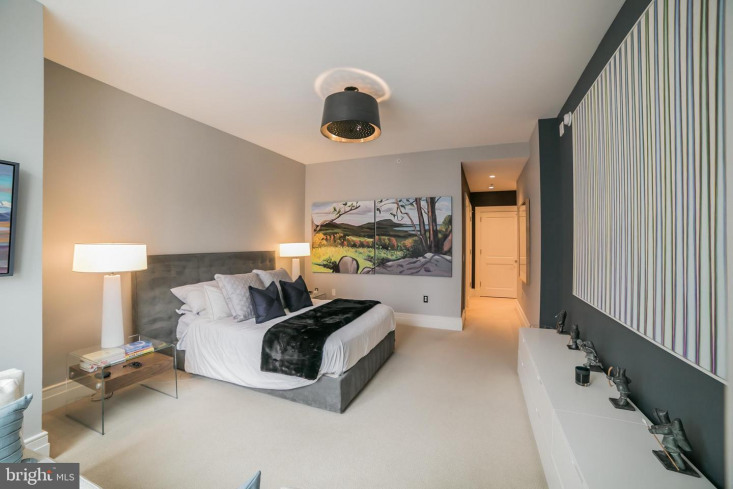 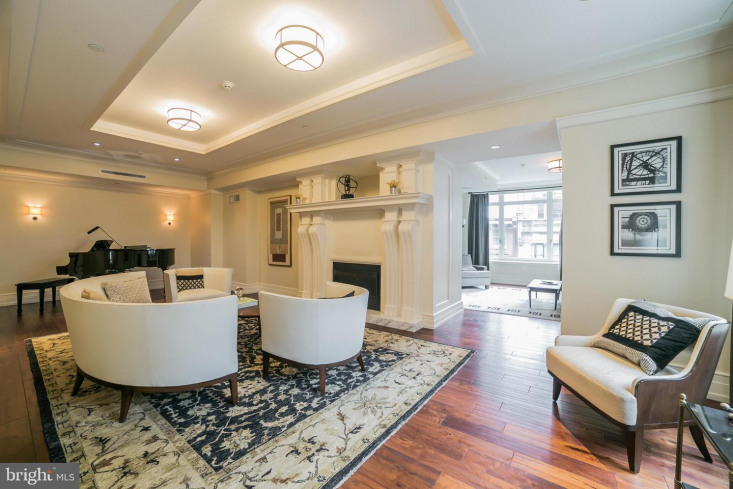 Furthermore, wine storage lockers, a catering kitchen, a boardroom for private business meetings, a clubroom with fireplace, plus a chauffeur driven Mercedes Benz can be enjoyed by all residents. 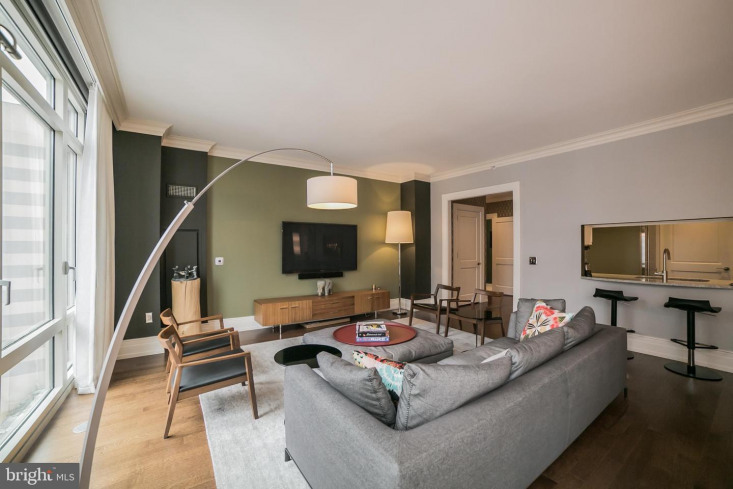 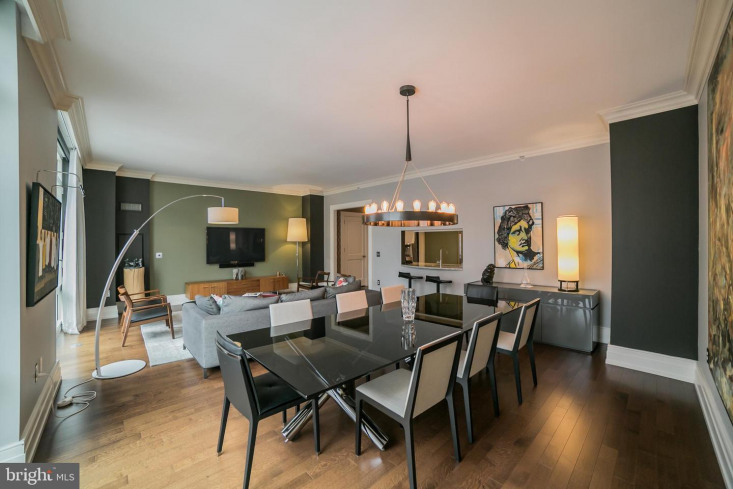 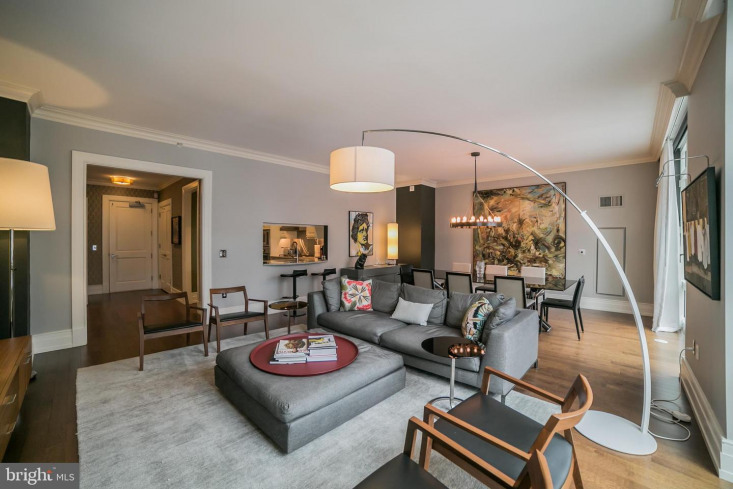 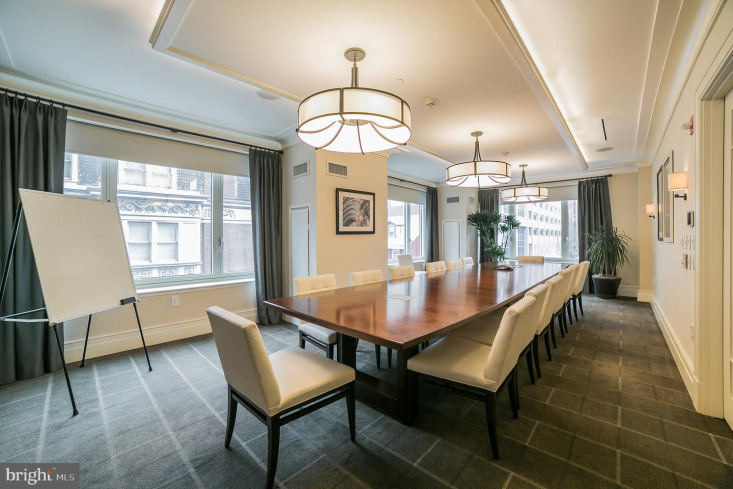 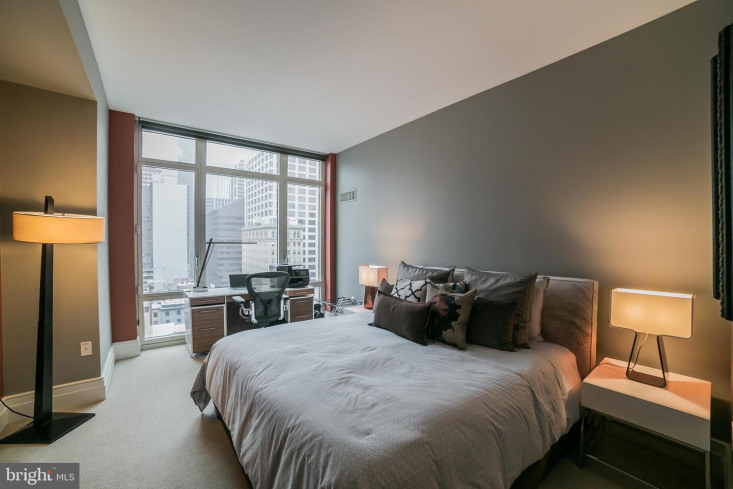 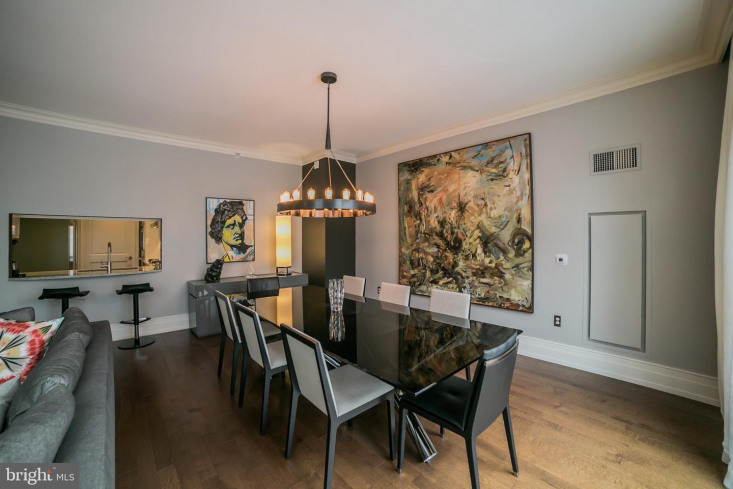 You will love living on Rittenhouse Square, surrounded by an endless list of restaurants and shops, including Stephen Starr's The Love which is on the ground level of this building.  Tax abatement through March 2022.